WTF DID YOU SAY?!?!? !BIGGER & BOLDER THAN THE COMPETITION – WTF Did You Say Stretches the Moral Boundary Unlike Any Other! 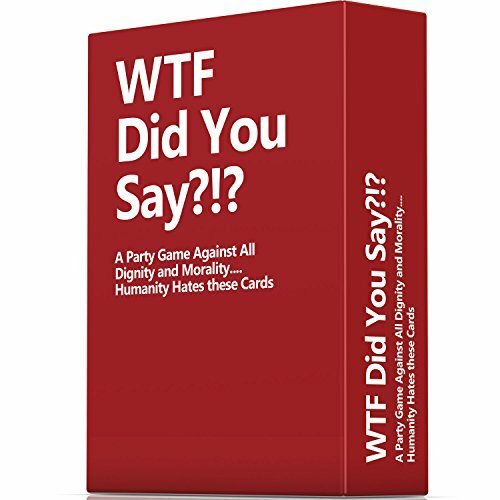 100% MANUFACTURER MONEY BACK GUARANTEE – If This Isn’t the Best Party Game You’ve Ever Played, Please Contact the Manufacturer and They’ll Offer a Full Refund!